Warm Tips:1.Spy camera may release heat when using. It's a normal phenomenon.Please take it easy. Mini spy cam is intended for protecting important families and property.2.Due to the long time transport, the mini camera's battery will in the low power,pls charging 1 to 2 hours before using.Main Specifications:1.High quality images with FULL HD 1080P DV DC2.Import HD camera lens3.Mini shape,portable handheld DV4.Recording high-definition video in low-light conditions5.video format:1920X1080P ,Motion detecting video:1080P6.Photo mode: 960P(1280x960)7.USB2.0/USB2.1 interface8.Support 4GB 8GB 16GB 32GB T-Flash card(TF card not include) 9.Built-in lithium battery 240mAh, working time about 50 minutes10.Support system: Windows me/2000/XP/2003 ista;Mac os;LinuxPackage Included:◆1 x Mini Hidden Camera◆1 x Bracket◆1 x Clip◆1 x Sling◆1 x Magnet◆1 x USB Cable◆1 x Card Reader◆1 x User Manual◆2 x Mirror（hide camera lens）◆2 x 3M Adhesive for Magnet◆2 x 3M Adhesive for Mirror100% Satisfaction Guaranteed - We provide the best customer experience possible. 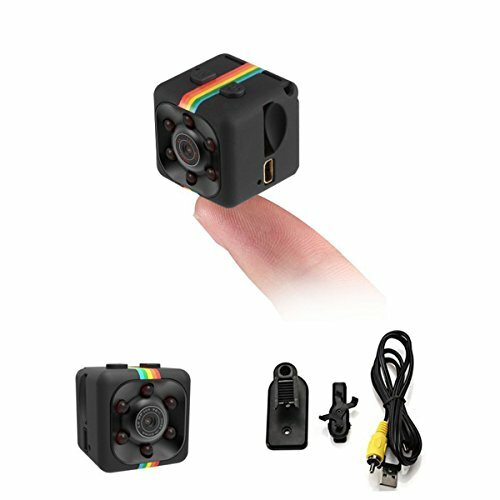 Free Replacement or money back guarantee if you aren't satisfied with your Mini Body Camera . Take Advantage of Our 100% Satisfaction Guaranteed Policy---BUY NOW,GIVE IT A TRY !!!! Our purpose is to provide the highest quality gadgets & technology equipment and offer the best customer service before, during and after purchases for YOU! 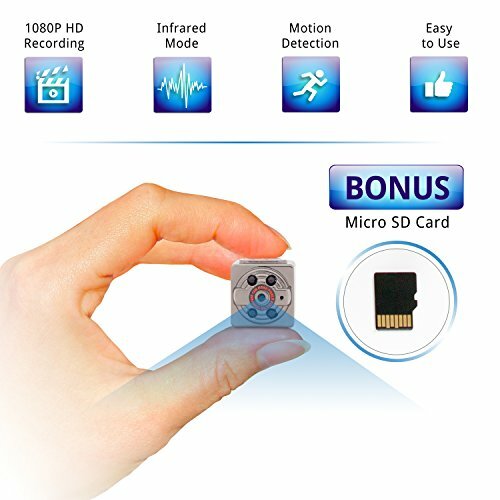 Use this wireless mini camcorder to record photo’s or video in a discreet way without attracting any attention. No matter where you are. Warm Tips: 1.Spy camera may release heat when using. It's normal. 2.Due to transport time, the mini camera's battery could have low power, please charge1 to 2 hours before using. Why choose this product? 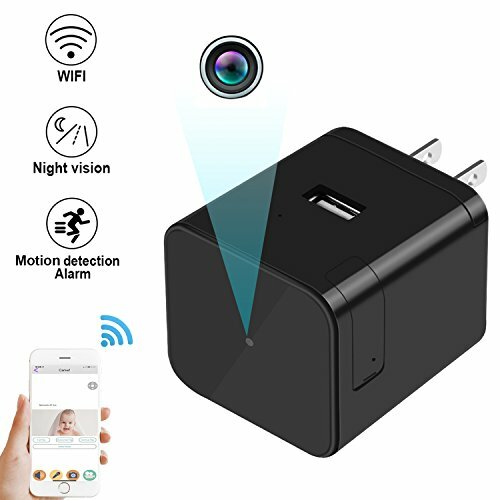 One of the smallest but most powerful camera's on the market Can detect movement and record in dark spots using IR LED lights (Must be within 1.5metres) Great easy to read instruction booklet What’s in the Box? 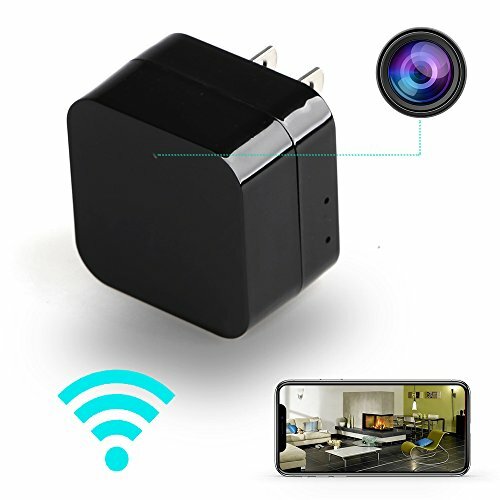 1 x PJTech Mini Wireless Hidden Camera 1 x USB Cable 1 x Instruction Manual 1 x 8GB Sandisk Micro SD Card (C10) 1 x Bracket 1 x Clip 1 x User Manual This camera takes time to get used too, however, you should be able to familiarize yourself with it within 15 minutes using instructions. 100% Satisfaction Guaranteed – We provide the best customer experience possible. Free Replacement or money back guarantee. 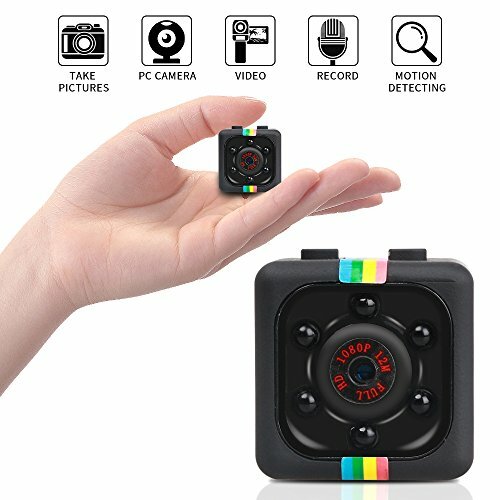 If you aren't pleased with your Mini Body Camera. Take Advantage of Our 100% Satisfaction Guaranteed Policy - BUY ME NOW, GIVE IT A TRY !!! 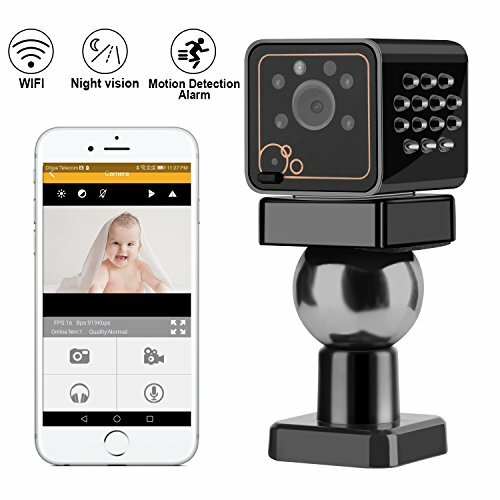 Thank you for your consideration of the mini spy camera! Our latest model solves all of the problems that plague users. we truly believe it will be the last hidden camera you will ever glad to buy! 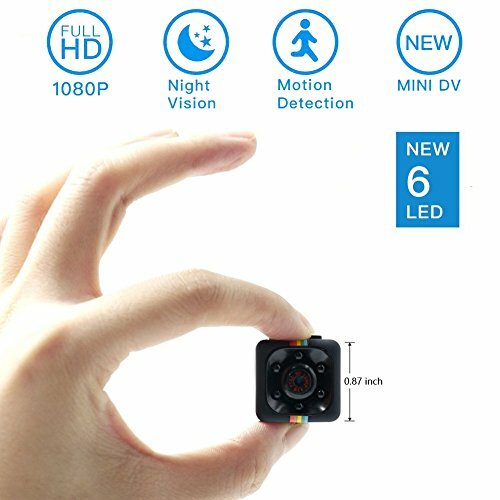 Function:Very small, so you can easily hide it without being noticed.True HD 1920*1080P,Bring picture quality and high-definition video. 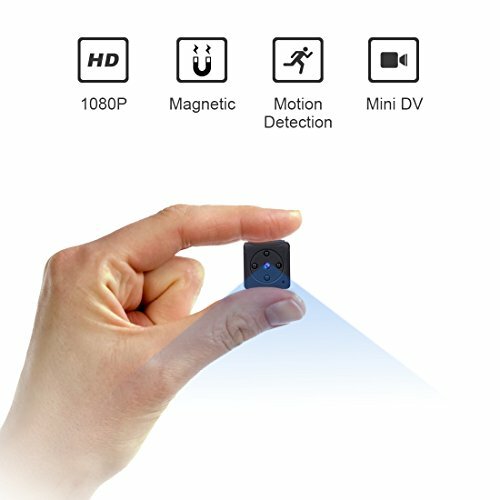 Loop recording is defaulted to overwrite the oldest file with the newest.High-capacity storage,supports TF card up to 32GB.When motion is detected, mini spy camera will start recording automatically.Notice:1.Please charge the mini camera and insert the card before you use it.2.If the camera does not work,please reset the camera and try it again.3.The mini camera will become warm during the operation, because this camera is a HD camera, the warm can be borne, so please make sure that you notice this and then place the order.4.If you have any question about it ,please feel free to contact us and we will help you solve it ASAP! Portable Mini Hidden Spy Camera The hidden camera is a very tiny but strong functions camera It's a perfect camera and video recording forensic tool for everyone It's portable for recording what happens at every moment With 6 IR night vision lights, it can shoot videos/pics in dark environment Main Features 1.High quality images FULL HD 1080P DV DC 2.Import OV9712 HD camera lens for clear videos/pics 3.Mini shape, portable handheld DV 4.Night Vision - Record high-definition video in low-light conditions 5.Option video format :1920x1080P ,1280x720P ,Motion detecting video: 720P,1080P 6.Photo mode: 12M(4032x3024) 7.USB2.0 interface 8.Mirco SD card storage. Max support 32GB(Mirco SD card not include) 9.Support TV out TV camera connection 10.Built-in lithium battery 200mAh, work time about 90 minutes 11.Support system: Windows me/2000/XP/2003/vista/Win7/Win8/Win10;Mac os;Linux Package Included: 1 x Mini Hidden Camera 2 x Brackets 1 x User Manual 1 x Cable Warm tip: The camera may release heat when charging and using. It's a normal phenomenon. Please take it easy. 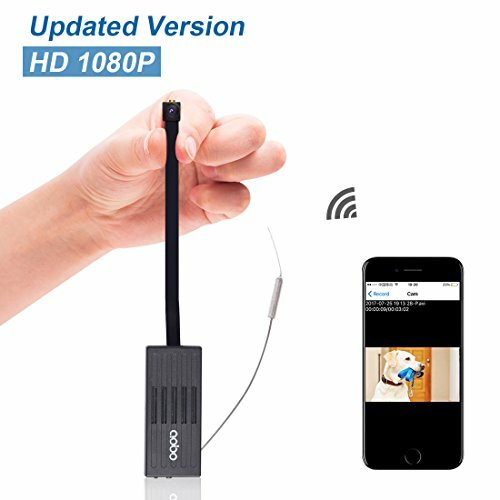 REVIEW: FREDI HD 720P WiFi Mini Spy Camera?! 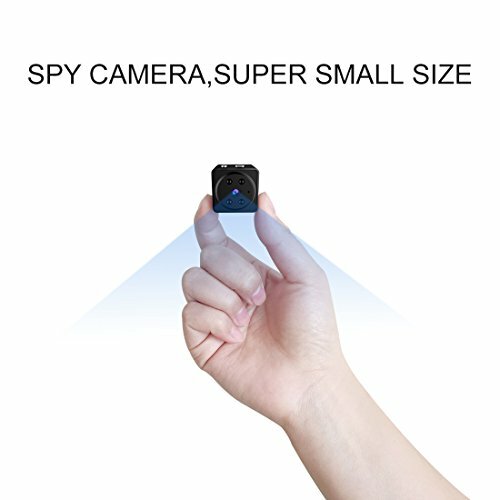 Compare prices on Mini Tiny Spy Camera at ShoppinGent.com – use promo codes and coupons for best offers and deals. Start smart buying with ShoppinGent.com right now and choose your golden price on every purchase.